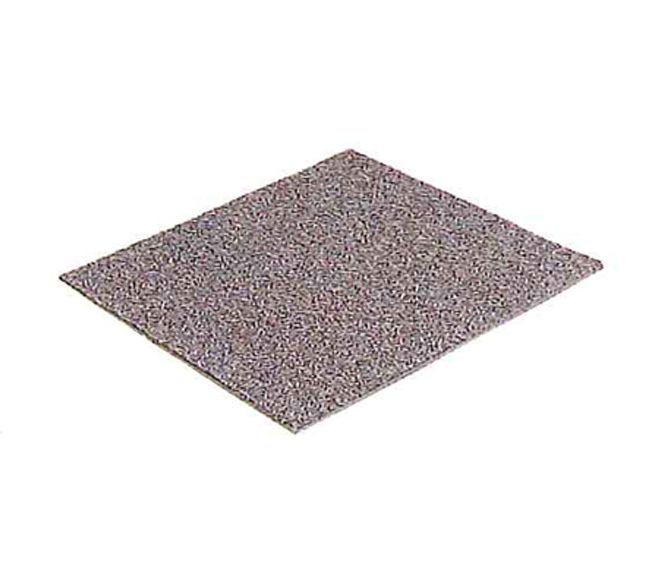 This type of carpet involves the application of a single back-coating (latex compound) to the pile. Since there is no need to adhere this to another backing material, the color of the latex compound is usually white, however, it can be supplied at almost any color such as red, green, and yellow in order to match the color of the pile. This type of carpet involves applying a back-coating (latex compound) under which a jute scrim is attached. When using a thicker material such as jute, drying of the latex compound takes is also vibration and shrinkage of the jute cloth during the drying process, there is a danger of uneven lamination occurring . To prevent this, a high-strength wet-gel is employed as the latex compound. 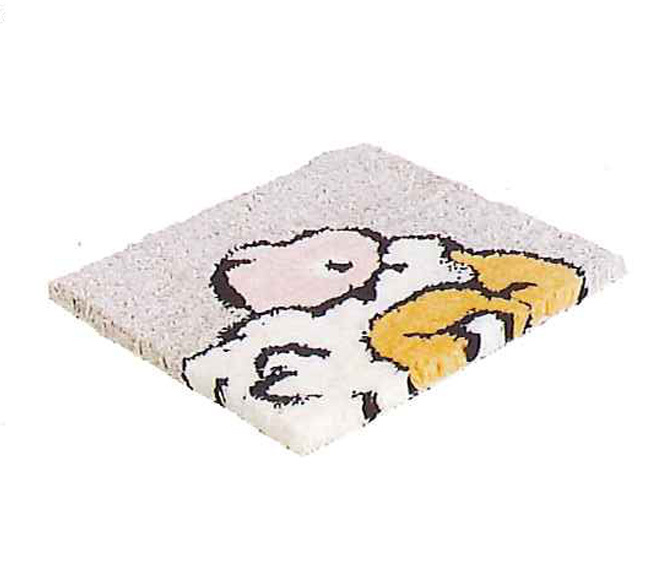 This type of carpet is manufactured using both gel and non-gel processes. 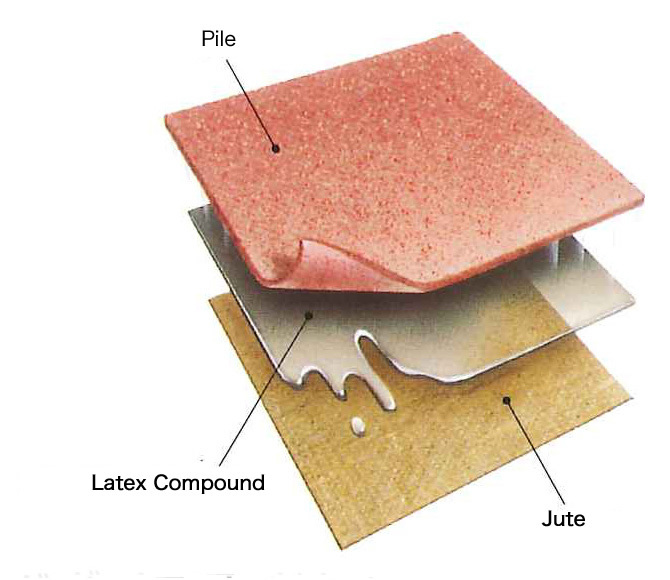 Various ratios of foam are utilized from all natural latex composite to all SBR latex mixture. 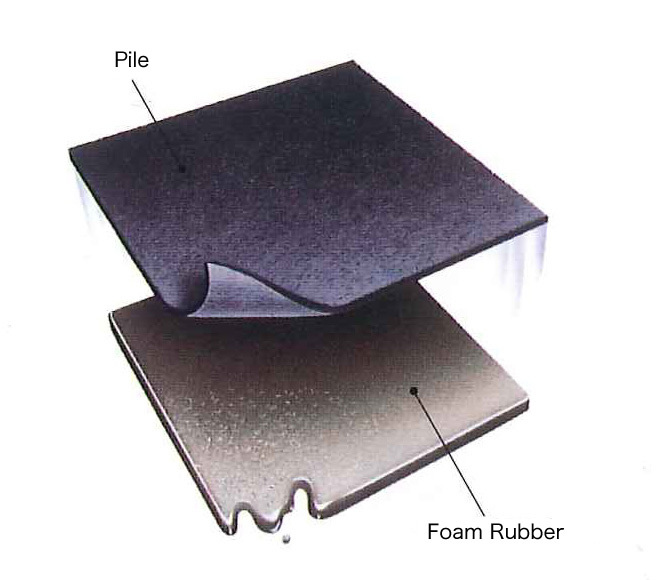 In order to achieve the best quality foam rubber possible, the method and ratio of blending various ingredients is an extremely important factor. 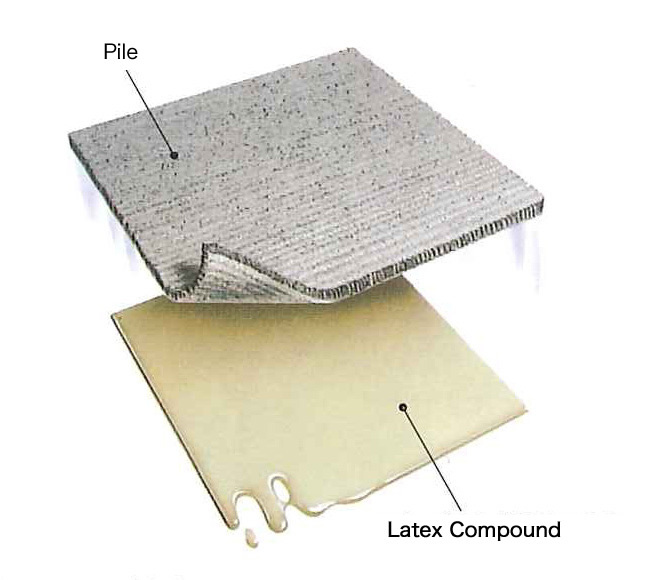 In almost all cases, a carboxylated SBR latex compound is employed for the backing coat (latex compound) with this type of carpet. The amount of bulking agent/filler utilized is relatively small and , in some cases , added as well in order to furnish flame-resistance. 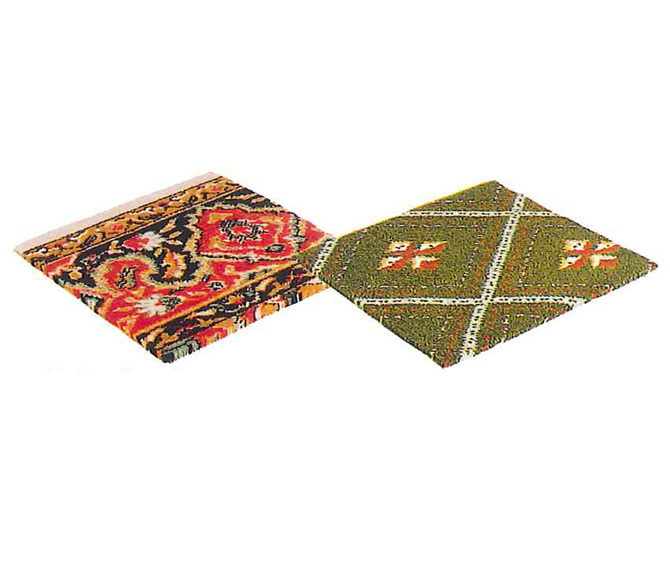 This type of carpet involves inserting pile yarn through a base material using a hand-tufting machine in order to create the pile, and the securing it in place with a backing compound of a latex compound and a secondary base cloth . Products with latex compound backing are highly responsive to industry needs as they are odorless, do not discolor, have non-slip properties and are washable. Their high workability as well is an important factor since the latex compound is applied manually. Recently, in order to keep the pile from coming loose, application not of only sizing agents, such as CMC (sodium carboxymethylcellulose),but of carboxylated SBR latex as well have come to be use due especially to that material's permeability. Latex compounds which offer a highly flam-resistance as well are being used for aircraft interiors. In this case, a compound that can be easily adjusted for permeability and which bonds in a short time required in order to achieve a thin, uniform coating. This type of carpet involves using PVC (PVC paste sol) as a back-coating in order to ensure the flatness and the stability of the size and shape of the backing to tufted carpets. Just like tiles, these are cut into standard sizes for installation and maintenance. The PVC paste is reinforced with glass fiber and its hardness is adjusted using a plasticizer. In addition, latex compounds are known for their compatibility to PVC. 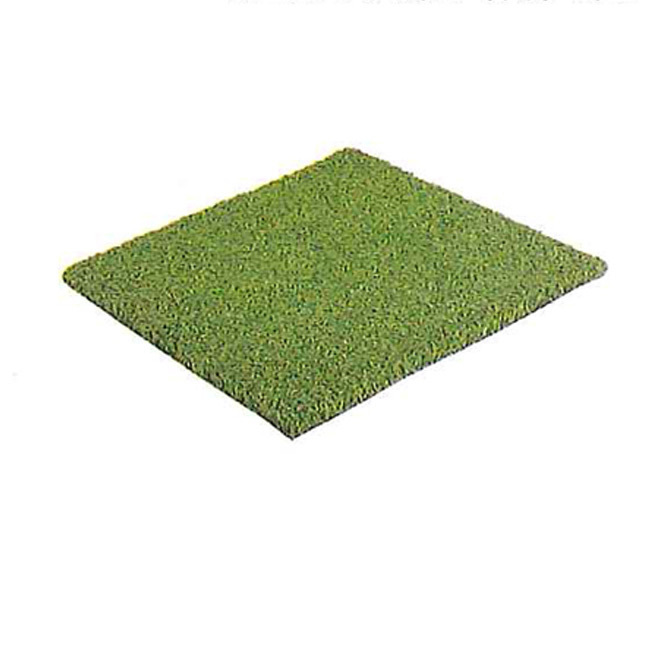 This simulated turf is made of synthetic fibers and is produced using the same manufacturing techniques used for making tufted carpets. 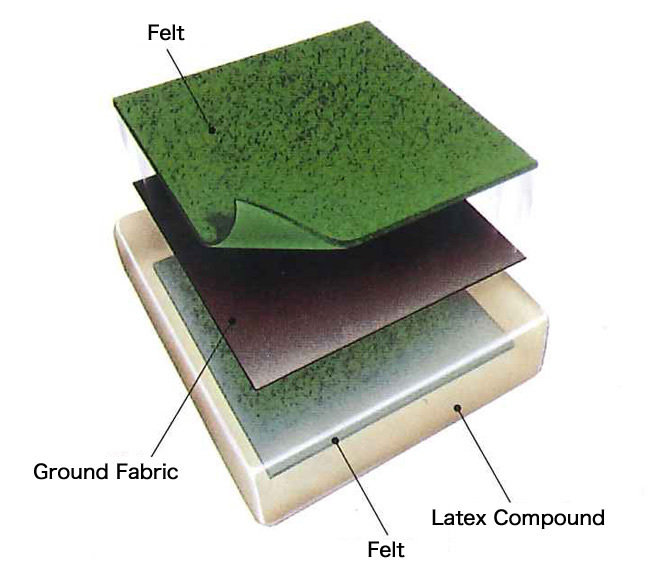 The latex compound that is used as a backing coat, just like the carpet materials themselves, must be superior in their water-, climate-, chemical-, and flame-resistance, as well as in their durability, and must be able to withstand harsh conditions and environments.